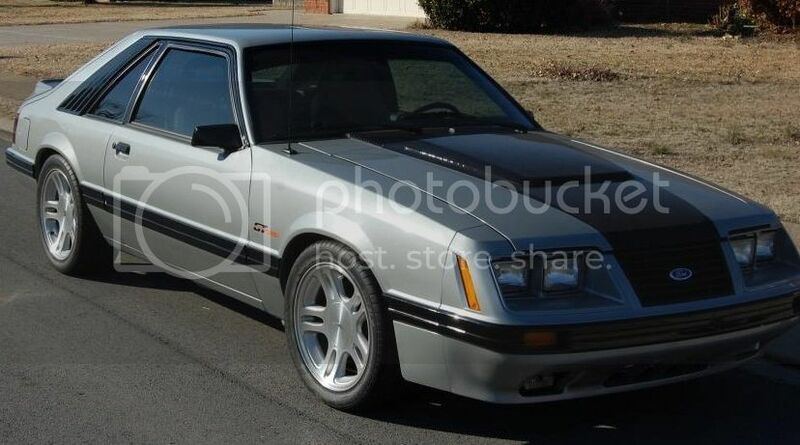 Congratulations to the winner of April’s Ride of the Month goes to Bryce Bivens and his 1984 ½ Mustang GT Turbo. Bryce is the son of Freddie Bivens (FEP username Silver83) and together the two of them restored this Mustang back to its former glory. The story began in 2009 when the Mustang was purchased as a Father/Son project for them to work on. Bryce had originally wanted a convertible as his first car, but Dad decided that a car with no holes in the roof would be a better choice as a teenager’s first car. The rebuild process started with the original block being bored out .030 for new forged pistons from Stinger. The engine was treated to a full rebuild that included several performance parts such as high lift/duration flat tappet cam, an adjustable cam gear and idler pulley by Esslinger, as well as a gutted knife edged lower intake. To maximize the power of the engine, a lot of time was spent on the flow of the head as well as the E6 exhaust manifold. The engine was further complemented by a 3 inch exhaust from Stinger, a 65mm Cobra throttle body, and a super rare Ford Motorsport valve cover. To maximize the boost of the engine, Bryce & Freddie installed a Front Mount Intercooler since the original turbo was not intercooled. To help clean up the engine bay, they also installed a serpentine belt drive, a 3G alternator, and moved as much wiring as possible for a neat appearance. The suspension of the GT was upgraded to SN95 spindles up front with Ford Ranger axles out back to complete the 5 lug conversion. The wheels of choice were the same split 5 spoke SN95 wheels Dad has on his convertible. The father/son team also stiffened up the chassis with a set of Maximum Motorsport full length subframe connectors, lower K member brace, as well as Caster/Camber plates. To all of this they added a Ford Motorsport strut tower brace, a set of lowering springs, and full set of urethane suspension bushings to round out the package. 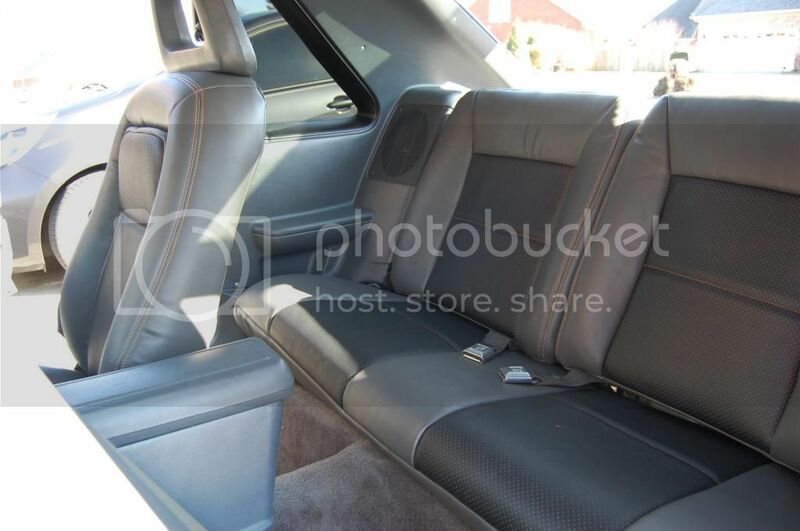 The interior of the GT was also treated to a complete restoration. The original seats were recovered in gray with black perforated inserts as well as orange French seams to match the GT Turbo badge on the exterior. Orange material was also added under the perforated inserts to add just another hint of color. A Red Line Goods shifter boot and emergency brake boot were added with the same orange stitching to complete the whole theme. A new set of gauge faces were installed in the cluster as well as a 140 MPH speedometer. A set of Ford Motorsport gauges were added to the passenger dash panel thanks to the angled pods. All new interior panels were required so Bryce & Freddie decided to change things up a bit and use the 87-93 style door panels and rear quarter panels. Of course a teenager’s dream ride isn’t complete without a new stereo to blast out the tunes. Well said Freddie and I think you have touched upon why so many of us love this hobby and our beloved Foxes. It’s as much about the memories made as the miles driven. 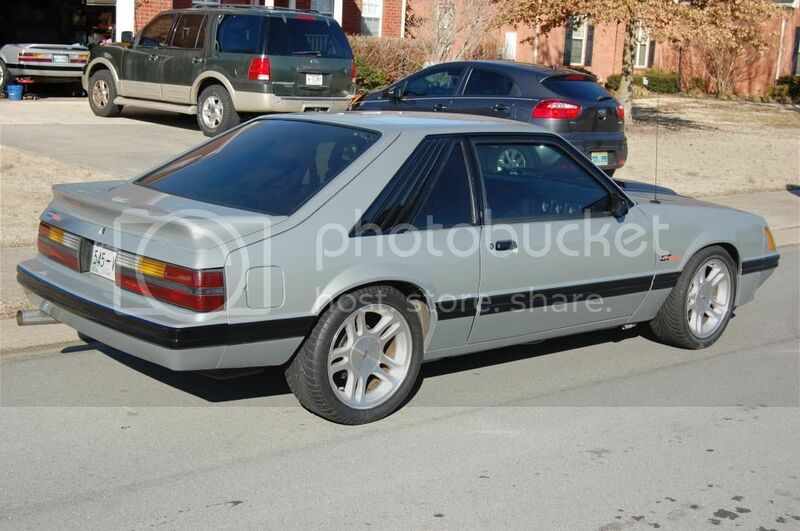 Thank you for sharing you and your son’s story and your awesome 1984 ½ Mustang GT Turbo. I am sure you both with enjoy it for many years to come. Congrats on ROTM! Your car looks great. 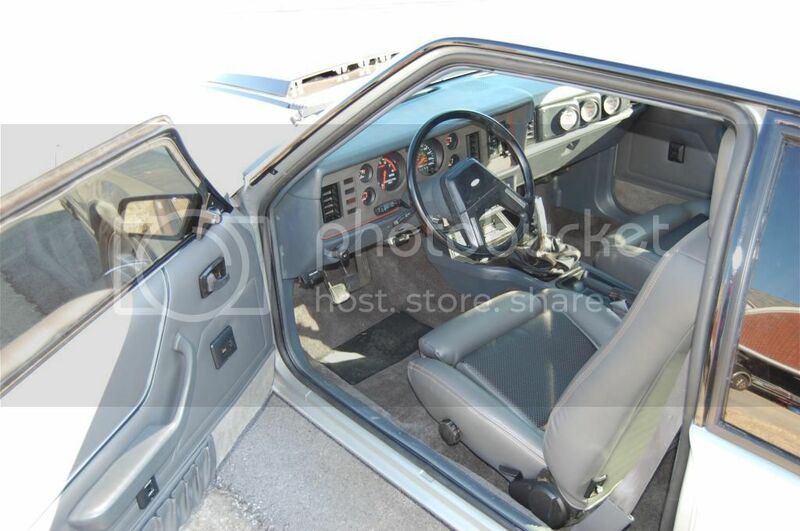 I really like the looks of the interior. Great story of the father and son project. Lifetime of memories. Congrats, sure is one of my favorite cars & stories on the site. Beautiful car!!! Congrats!! Well deserving!! Congrats - that car had a major transformation and it turned out simply awesome! Very well done sir! I'm quite envious! Great job, it's looking good! Congrats! Great job on rebuilding it! I love everything about it, especially that it's a turbo 4. Not too many of these still around. How do I get my ride entered for Ride of the Month? Thanks for all the compliments. We've actually done a few other things to the car since those pictures were taken. 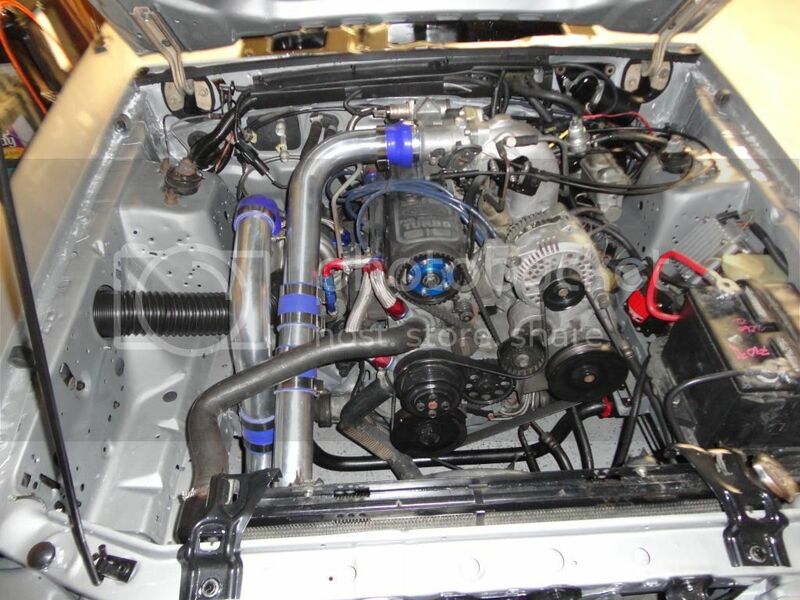 We built and install an aluminum intake pipe from the VAM to the turbo, removing the ugly black accordion tube. MM caster camber plates have been installed, and we're installing an aluminum vacuum block on the firewall to replace the factory plastic vacuum tee/block. The FMS valve cover wasn't in these set of photos either. We plan on angle cutting the exhaust tip soon, I just haven't gotten to it yet. We also installed new SVO black stripe taillight lenses as well.